Note: There’s been a longer than normal interval between posts as there was more than usual work involved with this one. Science fiction is very probably my first genre love. As readers of this blog already know, this affinity began with Star Trek. Given that, it won’t be surprising that my taste in scifi is generally best served when the setting is against the backdrop of a human interstellar presence. My story set in ancient Greece has been replaced as a priority with a novel-in-progress that takes place almost 50 light-years from Earth and roughly 550 years in the future. Part of my outline process usually involves a map of some sort. This scifi effort (working title, Astral) is no different. By making a chart of most of the stars within 50 ly of our solar system, details about the future politics of humanity came into sharper focus. This is as much a part of the world building for the tale as FTL travel, terraforming, and human genetic engineering. The volume around Earth at the given radius includes at least 583 star systems. There are red and white dwarf stars not shown in the first chart. 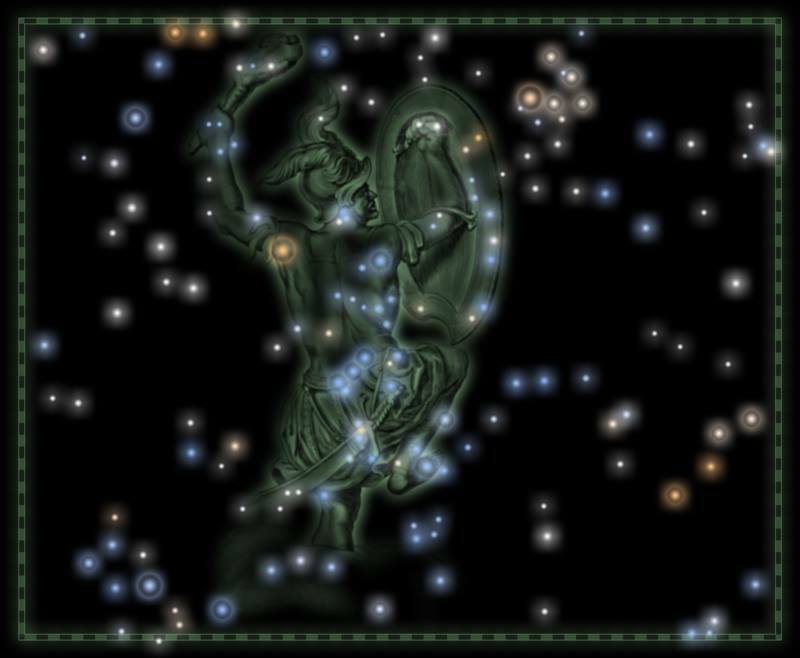 Similarly, the stars shown do not double up with regard to arity (binary, trinary, and so on). If habitable worlds may be assumed to orbit stars like the Sun, about 10% ±x of these systems could support life. It should be noted, since extrasolar discoveries are being made “all the time”, no real effort was made to match exoplanet reality. A presumption was made that faster-than-light travel would have limitations based on mass and material composition of any ships involved. Relatively instantaneous hops of 20 light-years or fewer are the standard. This decision puts ten systems with potential for colonization within direct reach of Earth. Each colony would then become a waypoint for the next tier of expansion. The result would be a web of worlds, each having a neighborhood of 10 other colonized systems on average including 2 colonies of their own. The first question after making these determinations was, “How far from Mother Earth would humanity spread before thinking of their new home world as more important than the origin point of the species?” The answer lay as much with history, sociology, and psychology as with astrophysics. The critical star turned out to be Xi Boötis (ξ Boo, “zai boh-oh-tis”). Two hops from Earth, with 70 Ophiuchus in between as the staging point, Xi could have almost as many imperial opportunities as the initial starting point of the human race. The expanding network of worlds colonized from Xi (and the colonies growing from those, etc.) would reach to between 20 and 30 more systems by the time humanity began to push outside the 50-ly radius sphere. If such a significant branch of colonial propagation were to stage a revolution, Earth society could be thrown into a panic. What’s more, other factions might seize the event as an opportunity for their own independence – to one degree or another. All of this is the backdrop of Astral, with Xi and its extended family as the new hub of human destiny in space (for the time being) and two other, though smaller, federations as political entities separate from Mother Earth. Apart from ME, the factions are Federalist Arcadia* (sharing in etymology with Arcturus, one of two “named” stars among those claimed from Xi), the Hamarchy of Keid*, and the Ophiuchid Cantons*. Is it safe to assume most authors of fiction hold J. R. R. Tolkien in high esteem? I must admit that, to an extent, he’s something of a guiding star. I admire the thoroughness of his work and its success and apparent timelessness. During the research process there are, of course, moments of discovery. Some data is deliberately sought. Then there are unanticipated details that, once turned up, seem essential to the story. I do not intend to take a decade to develop any of the worlds for which I’ve novels in progress; in that respect, Mr. Tolkien couldn’t be more remote were he a constellation. Aiming for comprehensive seems sufficient. Trying for exhaustive can interfere with the actual writing. Within the past fortnight I’ve made some discoveries that may, in fact, prove vital in A Song Heard in the Future. The first concerns what seems to be everyone’s favorite constellation: Orion. In Greek mythology he was a giant, mentioned in both of Homer‘s most famous works. While most of Song plays out over three or four generations, I felt it was important to thread as much of mythology through it as served the story. Some of the characters are able trace their ancestry back to survivors of The Flood (≈1440 BC, by my estimation, with Deucalion in the place of Noah); this becomes an important vantage point they have on themselves and their roles. Others sprang up from the earth in the aftermath of that cataclysm. For their descendants, having an autochthonous claim as a birthright, is equally momentous. According to the family trees I’ve developed in conjunction with the chronology, all of the featured characters would have known Orion only as a constellation. He’d have died before they were born. Orion being mentioned this way seemed right. It helps me feel that the characters live in the world about which I’ve been writing. This unexpected realization also seemed to build similarity between those characters and the readers. They’d be looking at the same stars, calling many by the same names. For Teiresias, the constellation now holds a special significance. It isn’t a surprise to me that I would find a way to include astronomy in some capacity. The subject has fascinated me – since before my love of Star Trek – and only enhanced by it. What was unforeseen was finding a pair of characters that served to buttress the narrative and share a name. In the timeline, I have them separated by about 180 years – one before The Flood and the other at about the time of the Trojan War (≈1260–1180 BC, according to Frank Calvert and Heinrich Schliemann). Genealogically, the younger character could claim the Antediluvian as tritavia†. This seemed designed as part of the story as if penned – almost literally – at the time Song ends (perhaps by Homer, Sappho, or Aesop). The past two weeks provided a coming full circle sense with Song. I’m certain that more writing will create more unexpected moments of epiphany. These two gave me a smile. I welcome more.